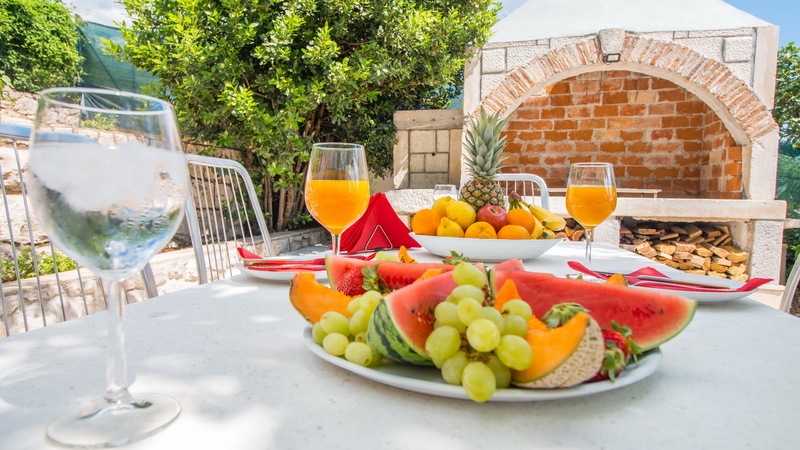 Villa Organic Gardens Garden Villa is located in Crikvenica, this air-conditioned villa features free WiFi and a 2 grand terrace. It provides free secured private parking. 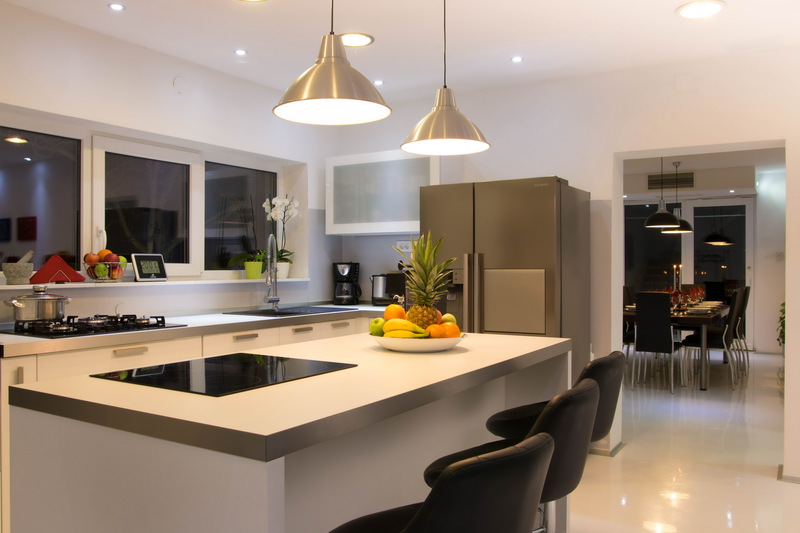 There is a dining area and a kitchen equipped with dishwasher. A flat-screen LCD TVs in every room and DVD player, as well as a CD player are provided. Other facilities at Garden Villa include a big outdoor pool with a sea view. There are 3 double bedrooms in a villa, green, red and blue. Red room has a fireplace and a swimming pool view. You can go to swimm straight from this room. Large livingroom is equiped with TV and a nice music set and a library. 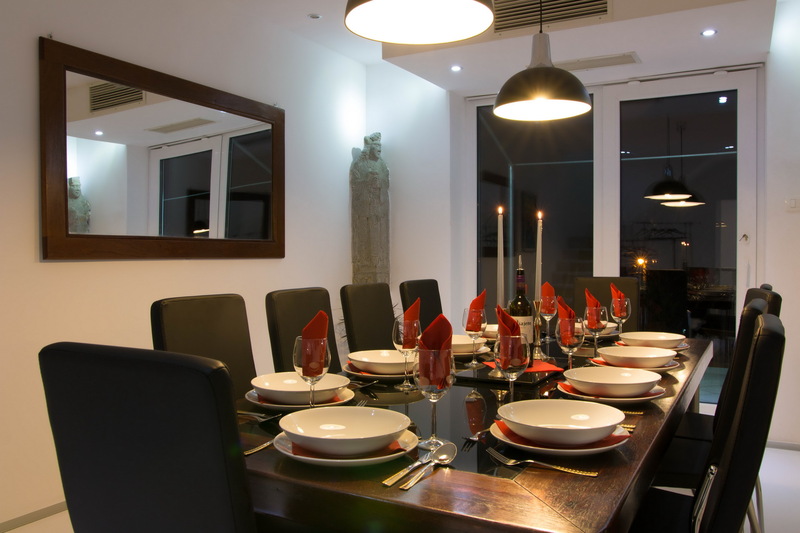 Ground floor offers a big modern kitchen and a dining room for up to 12 people. There is a big modern bathroom with marble shower and a jacuzzi tub. 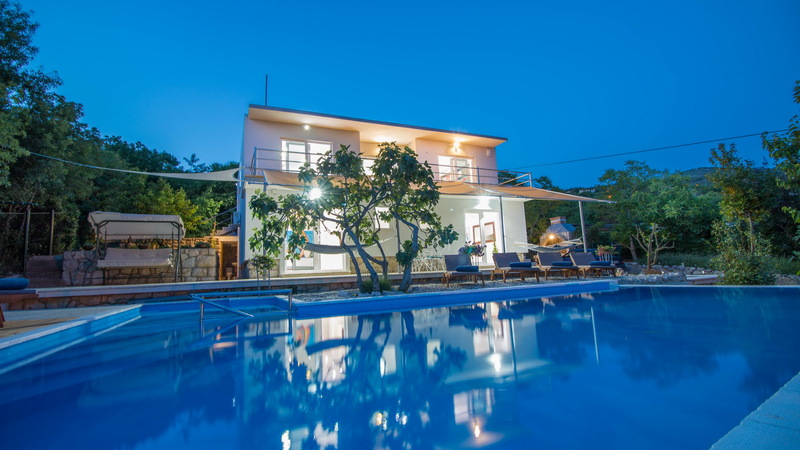 Outside there are few terraces, a pool terrace near the swimming pool and a barbeque terrace with a grand stone barbecue with a big table and chairs for up to 12 people. There is a big parking for up to 4 big cars secured with a big fence. Entrance doors remotely opens and close. You can enjoj large variety of fruits and vegetables picked straight from the garden. There are strawberies, cherries, peers, figs, plums, apples, and many other fruits you can pick and eat straight from our garden. Arround 70 different fruit and vegetables plants grows there at your disposal. You can enjoj your time in this tranquil area with your family or friends at the property. Rijeka is 37 km from Gardens Villa, and Opatija is 45 km away. Plitvice lakes are 100 km from the villa. Guests can enjoy various activities in the area, including windsurfing, diving, paragliding or biking. 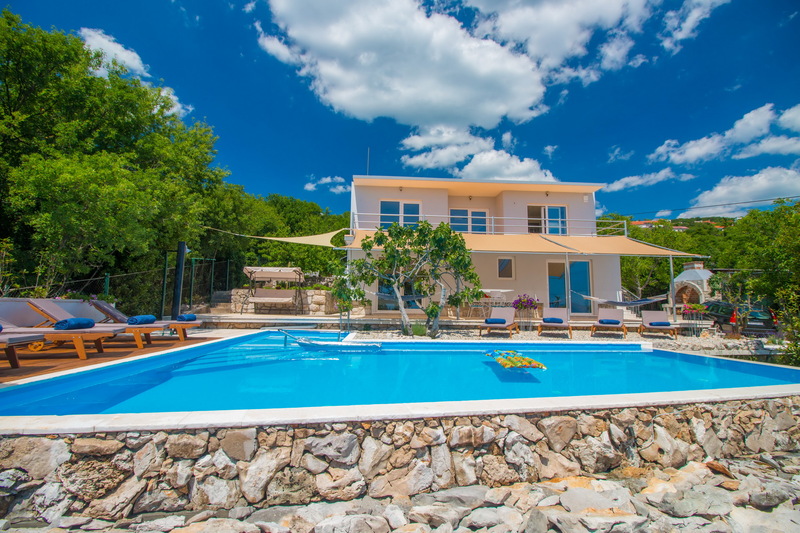 The nearest airport is Rijeka Airport, 22 km from Garden Villa. Nearest Crikvenica beach is arround 1 km away. Beautiful villa with large swimming pool. Thank you for visiting our pages. We welcome you to spend your summer vacation with us in Crikvenica, Croatia. 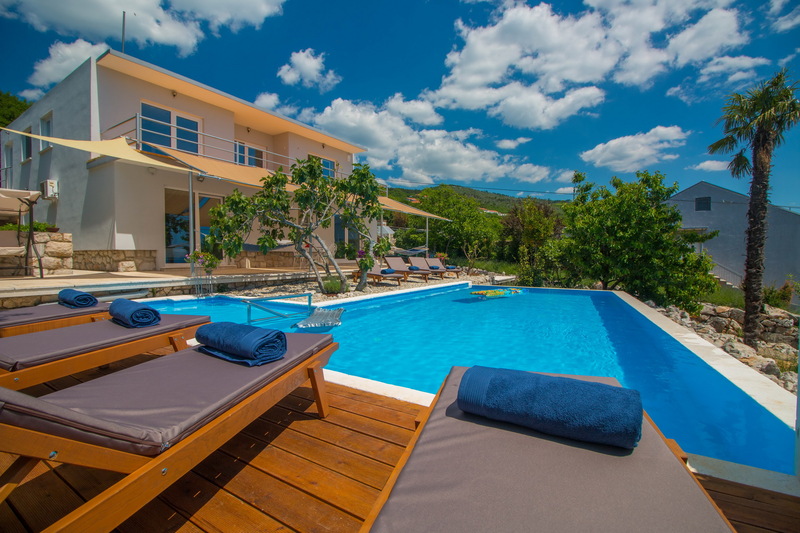 Have a lot of fun with your family or friends in our cozy and modern villa Organic Gardens. Welcome to town of Crikvenica at Croatian North Adriatic coast. Our little town Crikvenica can offer to you an amazing vacation in Croatia. 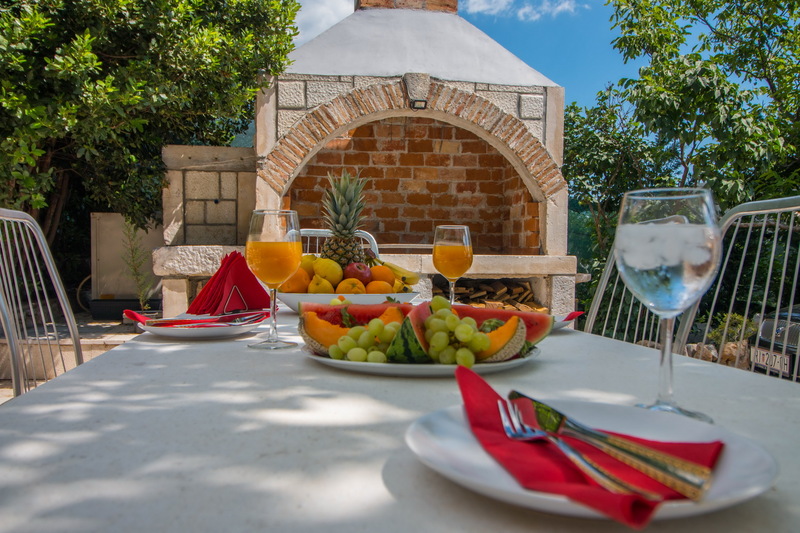 You will bring home an amazing memories from your Croatian vacation and our villa Organic Gardens. Crikvenica is a well known Croatian coastal town with beautiful sandy and pebble beaches. You can take a walk along the sea from the town of Crikvenica to Selce or Dramalj. 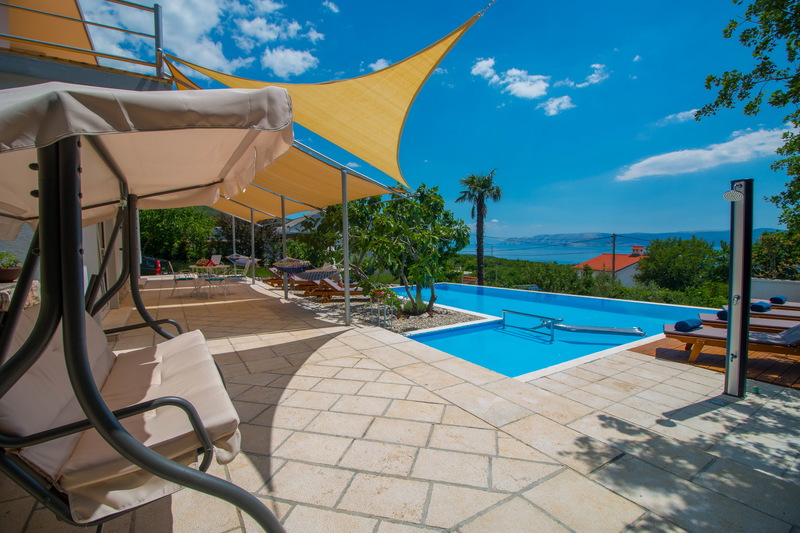 Organic Gardens villa with a large swimming pool and a sea view is the place for your vacation in Crikvenica. With by Organic Gardens © 2017. All Rights Reserved.